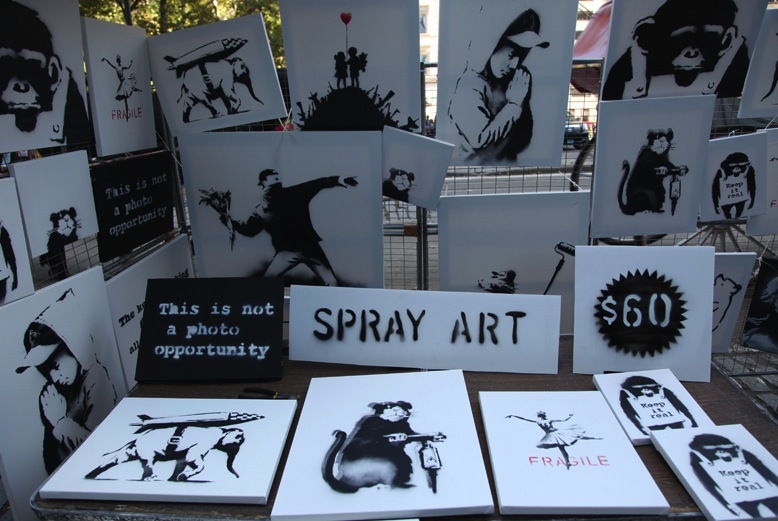 The mysterious street artist Banksy says he set up a stall in Central Park yesterday, October 12, 2013, and with original signed Banksy art for sale at $60 a piece and had few takers. Hey Banksy, I’m in California, but if I’d been in NYC and seen your stall I’d have bought some of the pieces. 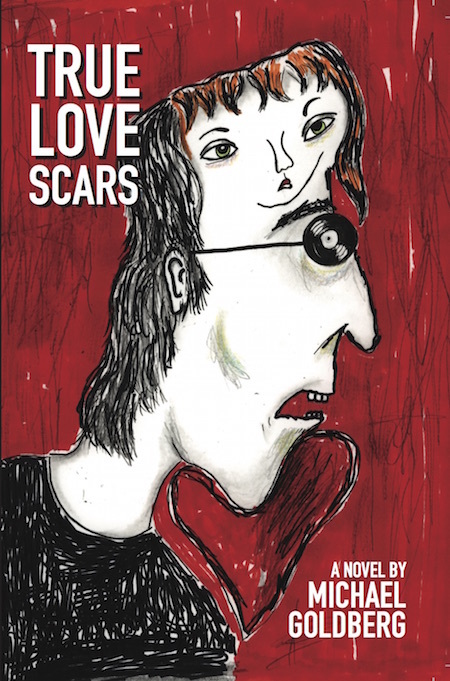 A few years ago I was at Venice Beach and someone had a stall with t-shirts with some of your art on them and some small canvases with your art on them as well and they looked great and I bought a t-shirt and two of the pieces, which I dig the most. Feel free to contact me if you want to unload some of those unsold canvases.